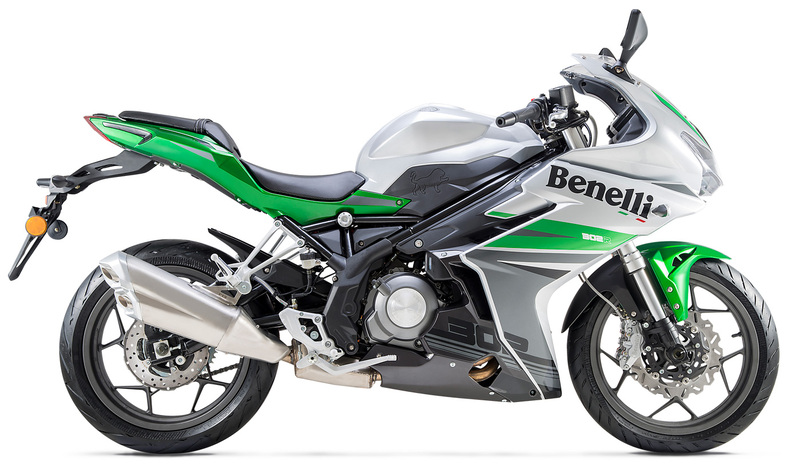 Competitive price and smaller displacement are not a limit but a big opportunity for 302R: thanks to a dynamic and fascinating design and thanks to Benelli's DNA, this bike just looks like a high-end sportbike. Offering a compliant ride and perfect wheel control, the 302R’s upside down fork and monoshock rear-suspension system with adjustable preload are calibrated to work in harmony in a wide range of road-surface conditions. The feeling with 302R is very good thanks to a rigid frame – a steel-tube trellis design that links the steering head and swingarm pivot directly. Chassis geometry offers agile steering and high straight-line stability in all conditions. The 302R power unit is the DOHC Benelli engine: 300cc liquid-cooled four-stroke vertical twin featuring 4-valve technology, double-overhead camshafts, and a 6-speed transmission. Output is 38.26 horsepower at 11500 rpm.